Girls outfishing the boys (again)! Chelsey with another nice brown, this one ate a hopper! Photo: Brian S.
The Yellowstone is fishing ON FIRE again! Guide trips have been boating over 50 fish lately, (some whitefish of course) but mostly trout the past few days. All of the guides we work with have been saying the Yellowstone is fishing as good as it has been all summer. The guys at the shop have been boating over 2o trout each night after work. The big browns have been eating hoppers, chubbies, and a variety of dropper nymphs. Streamers have been working here and there (mostly dead-drifted) but should be working better the next few days with the forecast rain. Small dry droppers have been the ticket for getting more numbers of trout to the boat. Purple Haze has been our number one seller this past week (so get them while supplies last). The dry fly fishing should get even better the next few days with the clouds and rain. Expect to see both Fall drakes (Fall Mahoganies and Hecuba), as well as some Fall baetis. We like either the original Parachute Adams or the hi-vis Parachute Adams on the river for a baetis pattern. We also like fishing a variety of René Harrop’s baetis patterns as a dropper off the Adams or drake pattern. If you don’t like the sound of fishing in the rain it looks like we are back to sun this weekend as well as next week. Give us a call to book a trip! 406-222-7130. 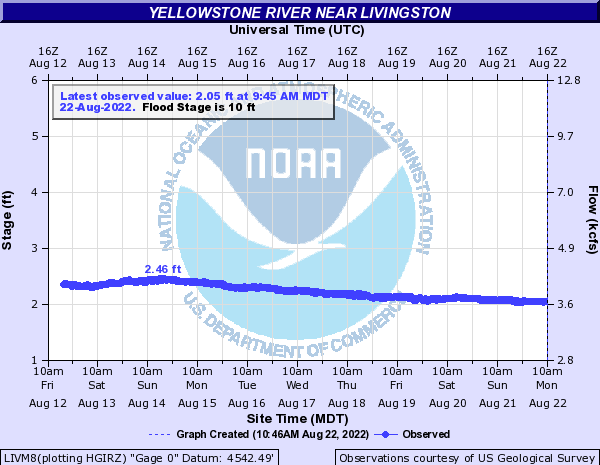 Both Clarity and water temp are looking good on the Yellowstone right now. The browns are starting to get some vibrant colors and are getting more and more aggressive as we move into mid September. The best streamer fishing is still to come but at least the streamer bite is starting to get better and better. Next week we have some cold weather moving in which should really seal the deal. For now, (at least for numbers) dry flies have been working best. If you are up for the task, you can catch about 40 whitefish a day by nymphing beadheads in the Valley right now. It’s actually a great chance for novice anglers to get used to fishing a nymph rig. Aside from the white fish the Valley has a large trout fish count per mile right now. Try fishing dries or smaller nymphs to keep the white fish off. Visibility in town is looking good this morning. 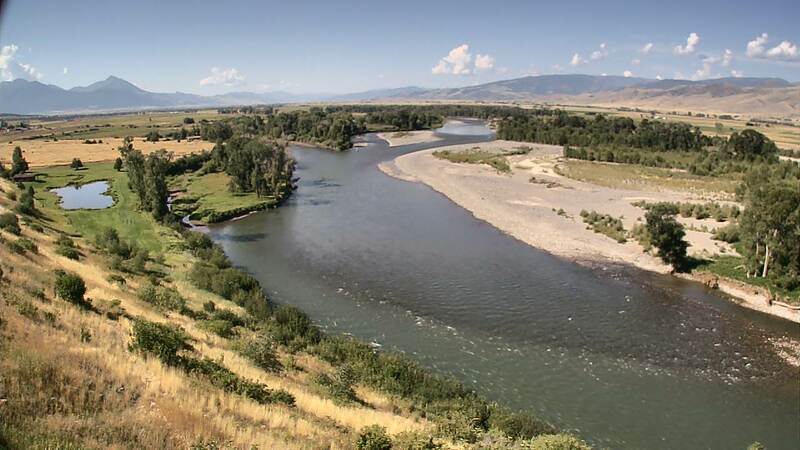 Looking at the Pine Creek webcam the valley has that “green is good” look to it. There is still a cloud covering the Electric Peak webcam, but it looks a lot more green than brown up there. The dopplar radar has shown no storms in the park yesterday or today so the river should be good to go for a while.